Welcome to our crazy world! I don’t know how you found us, but I’m sure glad you’re here! Welcome to our online home, so to speak, and the representation of our little homestead. I’m hoping to have a little tour of the layout of our homestead up soon, but for now I’m just going to share what I have! That’s the mentality we are trying to live by after all. We just picked up or honey bees the first Saturday of this month, it’s been a long process getting to that point. 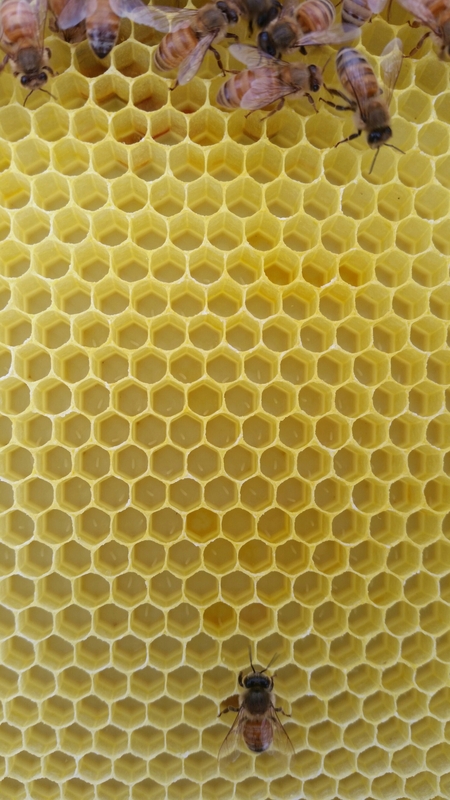 I decided a couple years ago I wanted to try beekeeping, but like anything I take on, I researched it thoroughly. I wanted to be sure I was prepared for the task, and that I understood what I was getting into. The information I found just made me want to dive in even more! So, after two years of research, learning, and building hives for the day we got them. I even remembered to bring out my good camera, but I forgot to press record for video! Total newbie mistake! 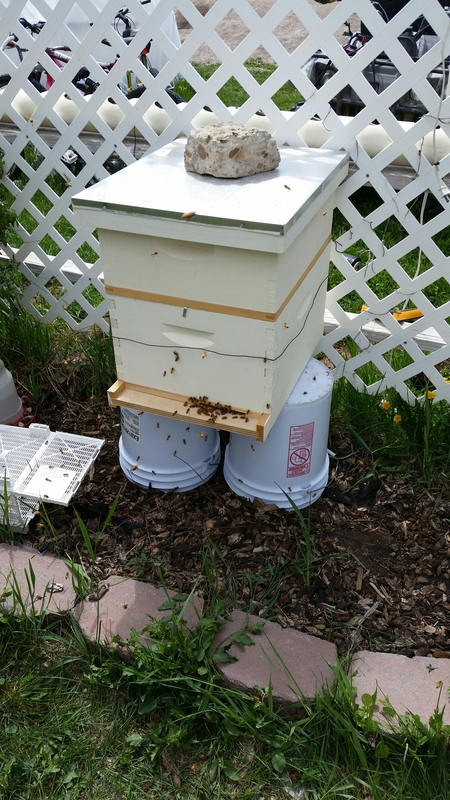 I felt so silly, so I missed the installation of our bees! But, they are all tucked in now. We bought an entrance feeder from Tractor Supply, since it was really rainy for about a week after we installed them. They hadn’t drawn out much comb, and the general consensus seems to be that supplementing their feeding with sugar water mixture helps. We did a 1:1 ratio, and within a couple days we had frames fully dream of, and we could see eggs inside the cells! I checked them again this morning and we can see the developing larvae! It’s pretty exciting, and I was worried for a couple days. 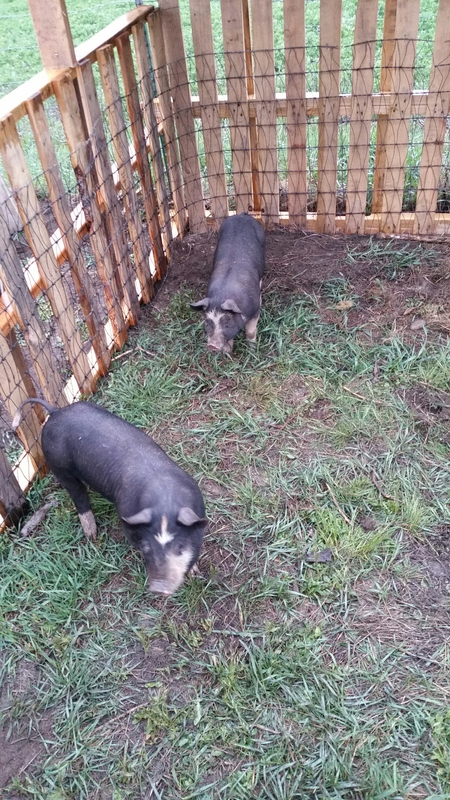 We also have two little piggies! The kids named them Baconosaurus and Porkachu. They will be ready for harvest this fall, we are shooting for October. And we have goats! 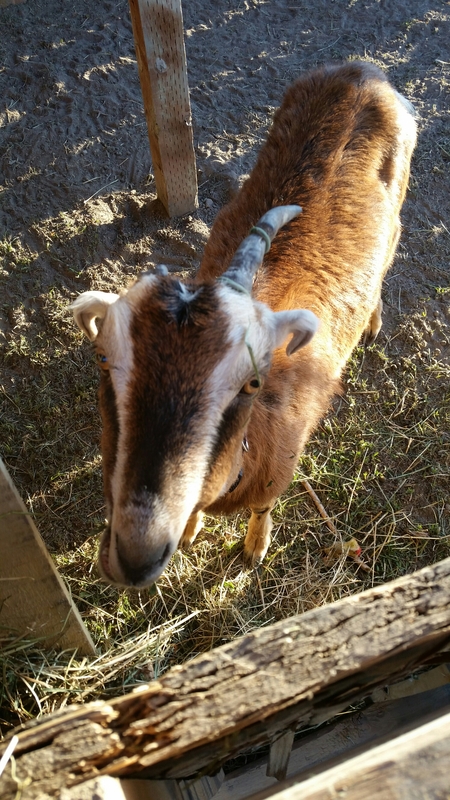 It’s been something I wanted to do since we moved back home in 2011, and I finally have a milking goat! She was really skiddish at first, and didn’t like milking, but now she’s gotten into the habit of it, and she goes right over to the stanchion. I’m so glad because it was a rough couple weeks getting to that point. Her previous owner tried putting bands on her horns to remove them, one fell off, but the other one is still intact. 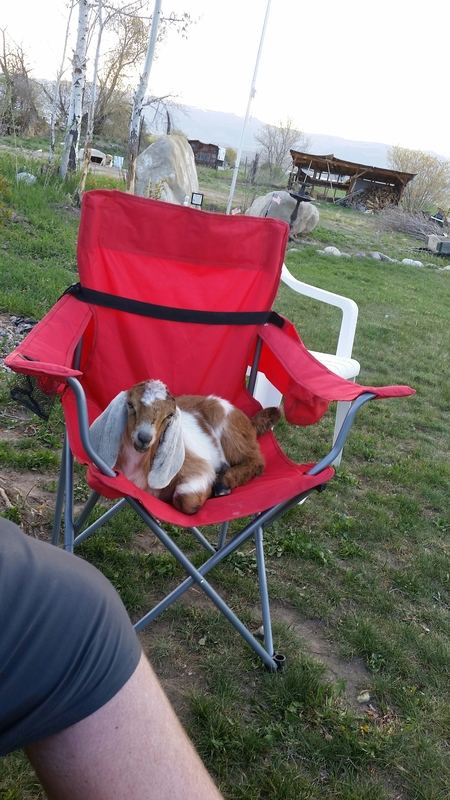 Our daughter calls her a uni-goat. This is Molly, she is half nubian and half lamancha, and her milk had been wonderful! When we got her, we also got a little Billy goat. He’s a full bread nubian, and just barely weaned. We named him Smeagle, he is the sweetest little guy! We have bottle fed him, and he has become very friendly and follows us all over the yard. He’s a great companion. We have rabbits, chickens, ducks, and a hoop house with veggies growing! I will have to make a video tour so that I can share it with you all! Hope that this is as exciting for you guys as it is for me! I will keep things updated, and share our developments! Thanks for stopping by! Watch for our next post, and follow us! That is ALL very exciting!! We are still waiting for the purchase of our land to go through so that we can join in on the adventure!! Well done, and keep up the good work! Thank you! I hope that everything goes well for you guys! The waiting game is the hardest part. Great photos of eggs and larvae. 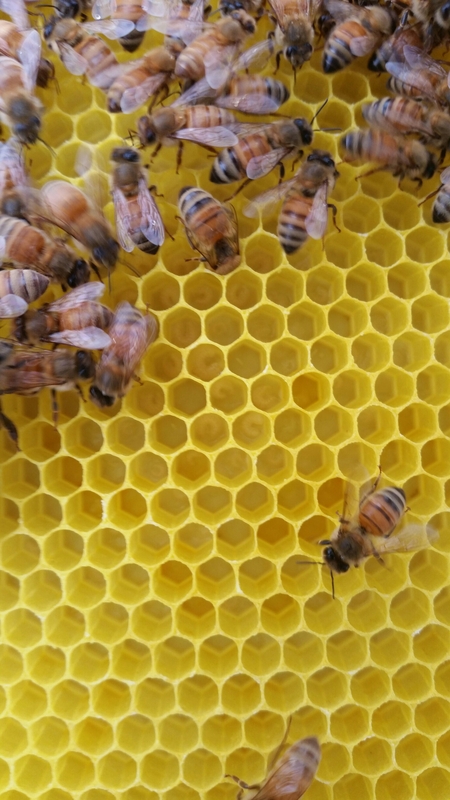 Just a thought though – I’d get the hive off those buckets unless they’re full of concrete because it’s going to get really really heavy when honey flows in. We are planning to transfer the box over to a cinder block base this week, we just didn’t have them yet! Thank you, I’m so excited to see progress with them! Only because we don’t have the room for more. We had a goat once but since we had only one he kept jumping the fence looking for more. I really wanted to raise bees too, but hubby is allergic to honey bees. Yeah goats are needy social animals for sure, but such fun animals. I’m sorry he’s allergic! We haven’t had any issues with singing so far, other than me stinging myself.